Sandra Leonard recieved her Associates Degree in Early Childhood Education from Champlain College in 1978. 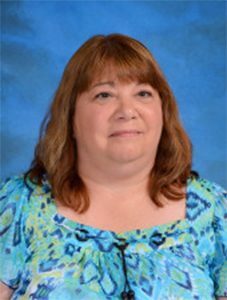 She worked as the pre-school teacher at Stafford Technical Center from 1979-1985. In 1983 she received her Bachelor of Science Degree in Elementary Education from Castleton State College. While maintaining her teaching license she moved to Burlington ,Vermont to work in a family owned business. After returning to the Rutland area she now works as a special education para professional in West Rutland and Stafford Technical Center from 2002-present. She is working on earning a Masters Degree in Special Education. Sandra has done community service with the Salvation Army, Soup Bowls for Hunger and the Gift of Life Marathon.